Chiang Mai and its surroundings offer a true abundance of different kinds of accomodation available for those staying medium (1-6 months) to long term (more than 6 months). From cheap Thai-style apartments to nicer apartments, condominiums, basic and very luxurious houses. You can get good deals for a lease from 1 year, lowering your monthly costs. It's a probably a wise approach to rent something for a few months to 1 year first, and then move on to something you really like, to rent or buy. 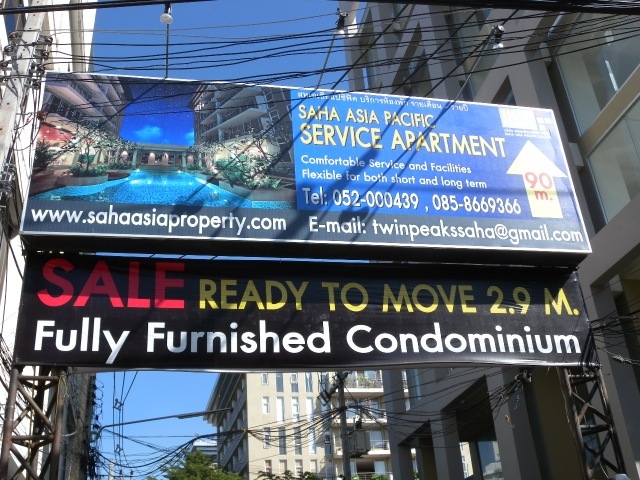 Thai-style apartments can be very cheap, but are very basic. Condominiums can be more luxurious and are safe, in case you're still travelling a lot, but still offer limited space. Houses offer the best deal considering the amount of space that you get, while you can use gas in the kitchen and often have a garden where you can hold pets, but it's a bit complicated to own them. - Orientate yourself on which area you want to stay. - Questions about buying property, check our Property section. 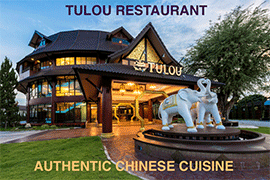 - Check real estate agents in Chiang Mai. It may be prudent to register your new address with the Consulate or Embassy of your home country. In case of political turmoil or other dangers, some of them send free warnings to their citizens. Also, in case something happens to you, the Consulate or Embassy can contact your family at home or take action. Some foreigners prefer to be completely out of sight of the official authorities of their home country, though, for privacy or tax reasons. In some cases, you may need your Consulate / Embassy though, for example when getting a Declaration of Residence that you want to use for the Thai authorities. Check out Consulates in Chiang Mai. You need a Declaration of Residence for various matters relating to government: buying a motorcycle, getting a driving license and so on. Some Foreign Embassies or Consulates are able to provide this to you, but most common is to go to Immigration and ask them to issue one. If you're 'only' on a tourist visa (and not on a non-immigrant visa), you may have trouble getting this, even though nowadays Immigration at Promenada has outsourced the service of providing address proof to what seems to be a commercial agent G4T just around the corner. By far the common and also most convenient means of transport in Chiang Mai is the motorcycle / scooter, and after that a car or push bike. Renting a scooter costs you some THB 2,000-3,000 per month, while you can already buy a good second hand for THB 20,000 and a new one for THB 40,000 up, so clearly you can easily earn your money back if you buy one for yourself and you don't have to be accountable for damage to a shop. 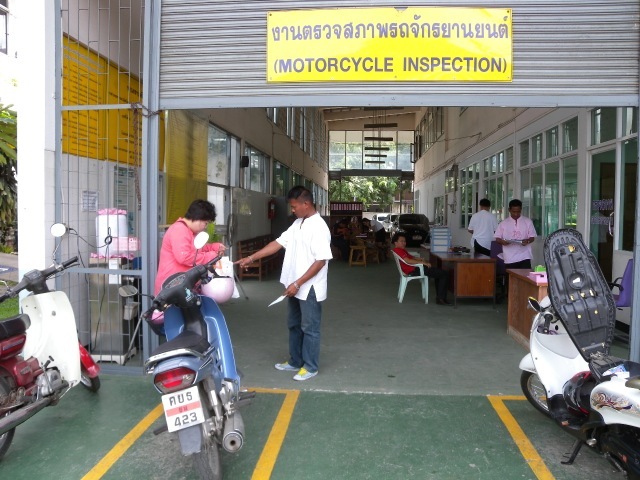 2. go to the Motorcycle Registration Office, pay for taxes and insurance. 3. you need to go to the Motorcycle Registration Office every year to renew your scooter license. When you have a motorcycle, it's better to report here every year. Check our article on how to get a Thai driving license. 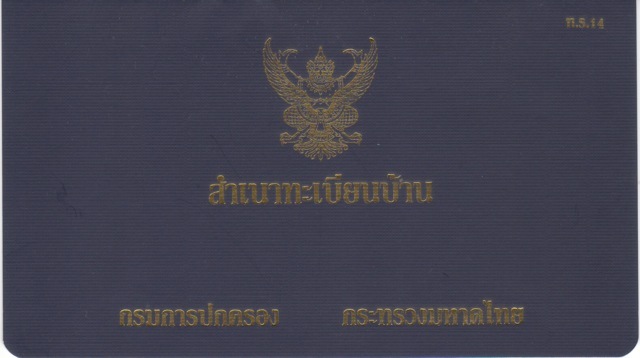 Those who cross the city often from Nimmanhaemin area to the airport can benefit from a special permit issued by the Royal Thai Airforce, allowing you to drive through the airport area or what is called "Wing 41": the road from the corner of Suthep road near Nimmanhaemin through the airport area to the beginning of Mahidol road. The advantage of this route is, that there are no traffic lights, and no traffic jams, it's simply a straight road, so especially in the busy hours it can save you some time. A special office inside the Wing 41 area is open for applications at the end of the calendar year, and sometimes in the middle of the year. Bring copies of passport, driving license, ownership of vehicle, and pick up your "Wing 41 sticker" a few weeks later. The shortcut you can make when you have a "Wing 41 permit": the red line is the route you will be allowed to take. 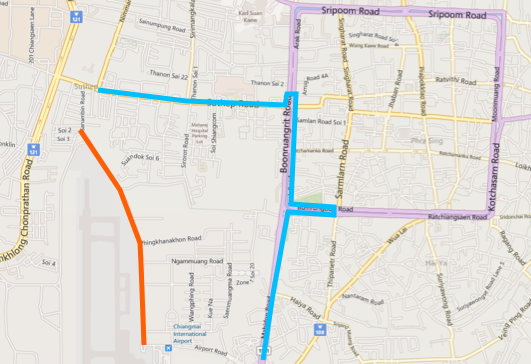 The blue line is how you would normally travel, making lots of U-turns and passing some congestions in the busy hours. How to get a Wing 41 permit? - copy proof ownership of vehicle (must be your name). Pay THB 100 and pick up beginning of the next year. Some foreigners forget or purposely omit getting proper insurances. In most cases, this works out fine, but it can be desastrous for those who get into trouble. The most important insurances you should have are a proper health insurance and a third party liability insurance. Other useful insurances are for your scooter, car and property, if you have any. It can be cheaper to keep the insurances from your home country, and they often cover more than local or international underwriters. If you're not used to living in the tropics and you're getting above a certain age, it's wise to do regular health check ups once a year. It's not expensive and all major hospitals have packages to check on the main parameters, such as blood values, PSA etc. A standard package could cost about 2,000-3,000 baht which is very cheap compared to doing such check ups in the west. 9. 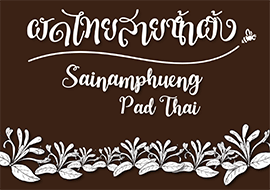 Getting a "House Book"
The so-called House Book or 'ta bieng baan' (ทะเบียนบ้าน) is a little blue book that is the Thai government's system to register residency. The book is based on a specific address and will list the residents in the address, not vice versa. In other words, if you move house, you're supposed to cancel your name from the book that applies to the old address, and get your new name in the book that applies to the new address. Foreigners can get their name in a house book too, not in a blue book which is for Thai nationals, but in a yellow book which is specifically for foreigners. The advantage of having your name in a House Book is that in the future you don't have to go to Immigration anymore to get a declaration of residency, which you need for many things, such as buying a vehicle but also other paper work related to government. Example of the blue "House Book". How to get your name in a yellow House Book? 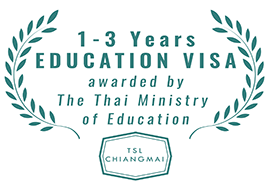 1. one-year non-immigrant visa. 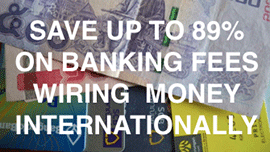 You cannot get it with another type of visa. d. declaration of address by Immigration office. 6. original blue House Book. Pick up a week later.